Delivers secure, cloud-based messaging solutions, including enterprise cloud fax and secure document distribution, to meet rigorous industry compliance standards. Enables a smooth migration from on-premises fax to a secure, auditable cloud fax and distribution solution. Enables businesses to communicate easily and more cost-effectively through use-case specific, secure document distribution and enterprise cloud fax capabilities that are fully compliant with Health Insurance Portability and Accountability Act (HIPAA), Payment Card Industry Security Standards (PCI), and International Organization for Standardization (ISO) 27001. Offers a wide range of API’s for developers to integrate cloud fax into software applications such as order processing, travel management, and other workflow-intensive systems. Connect to your Interfax control panel. 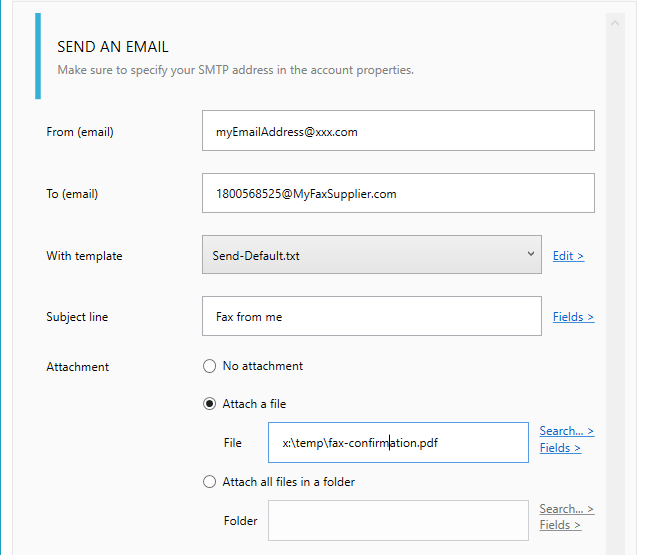 Sending a fax is straightforward: simply enter a fax number as the destination address in your email and add the fax document as attachment (PDF, XML, HTML, all file types here »). 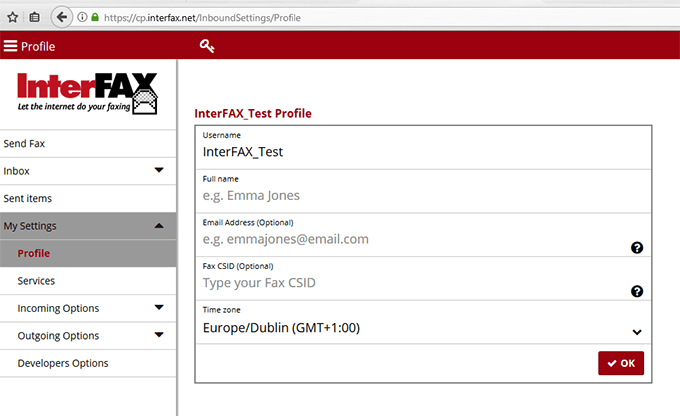 Note: When registering to Interfax email-to-fax service, you can define which email addresses will be allowed to send fax, make sure to use the same in the field 'FROM'. - In the ‘To:’ field of your email simply enter the correctly formatted fax number followed by the extension ‘@fax.tc’. now each time a fax will be received, it will send a reply to the number you specified. You can contact us for more information on this setting » .